Robert Earl Pritchett, a resident of the Walker Springs community, traded time for eternity Sunday, April 7, 2019 while at UAB Hospital in Birmingham, AL. 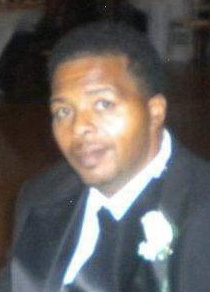 Born July 24, 1968 to Marie Virginia Lee Pritchett and Rawleigh Pritchett Jr., he was 50 years of age. He was preceded in death by his mother, Marie Virginia Lee Pritchett; and son, Delvin Pugh. Left to cherish his loving memories are his two loving and devoted children, Stephanie S. Pugh and Robert L. Pritchett, Walker Springs, AL; father, Rawleigh Pritchett, Jr., of Walker Springs, AL; six brothers, Steve (Sandra) Pritchett, Edward Hill, Rawleigh (Felicia) Pritchett, Marlon (Wanda) Pritchett and Kerry (Viria) Pritchett, all of Walker Springs, AL and Jonta Pritchett of Mobile, AL; two sisters, Rosie (Derric) Wright, Choctaw Bluff, AL and Sabrina Horn, Whatley, AL; three grandchildren, Kwun, Kanyia and Ja’niyah; with a host of aunts, uncles, nieces, nephews, other relatives and friends.